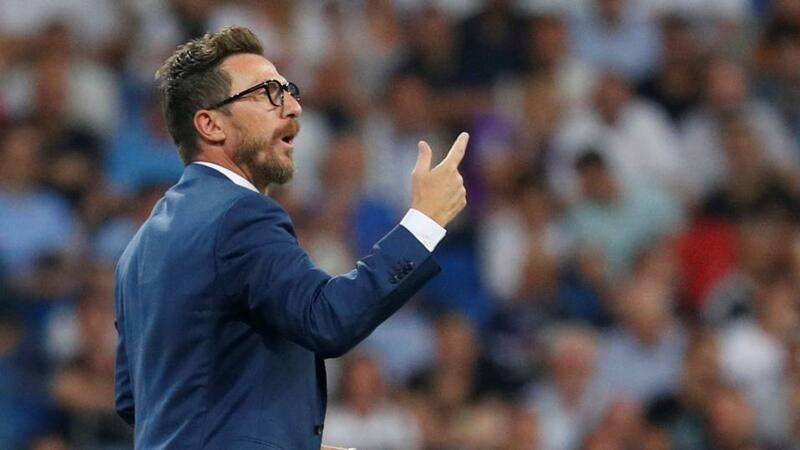 Can Eusebio Di Francesco point Roma towards victory when they visit CSKA Moscow? Dan Fitch is backing a repeat of the result a fortnight ago when Roma last faced CSKA Moscow. "CSKA have lost both of their home games since beating Madrid." Roma and Real Madrid were expected to coast to qualification in Group G, but CSKA Moscow are still in with a fighting chance. The Russians pulled off a shock result when they beat Real Madrid at home, in what proved to be one of the defeats that would account for the recently sacked Julen Lopetegui. That win, along with an opening draw against Viktoria Plzen, has seen CSKA pick up four points, just two shy of the joint leaders Madrid and Roma. This is therefore a big opportunity for CSKA to take a giant step towards the last-16, but their form suggests that it will be difficult to achieve. They lost 3-0 to Roma in the reverse fixture two weeks ago and their 0-0 draw with Dinamo Moscow at the weekend meant that they have now only won one of their last six games. Roma have drawn their last two away games 1-1, first at Napoli and then at the weekend, at Fiorentina. Overall though they are in good form, losing just one of their last eight (W5 D2). Roma look generously priced to claim victory, with CSKA's victory over Real Madrid perhaps having had more of an impact on the odds than it should have done. In their last few games under Lopetegui, Real Madrid also lost games to the likes of Alaves and Levante. Put simply, they weren't very good and CSKA should not be considered to be a dangerous side at home, just because they faced the Champions League holders at a fortunate time. In fact, CSKA have lost both of their home games since beating Madrid. Back Roma to inflict another defeat at [2.0].